One of the more pleasant surprises of TIFF 2014, Kahlil Gibran’s The Prophet combines musings on life with incredible visuals. 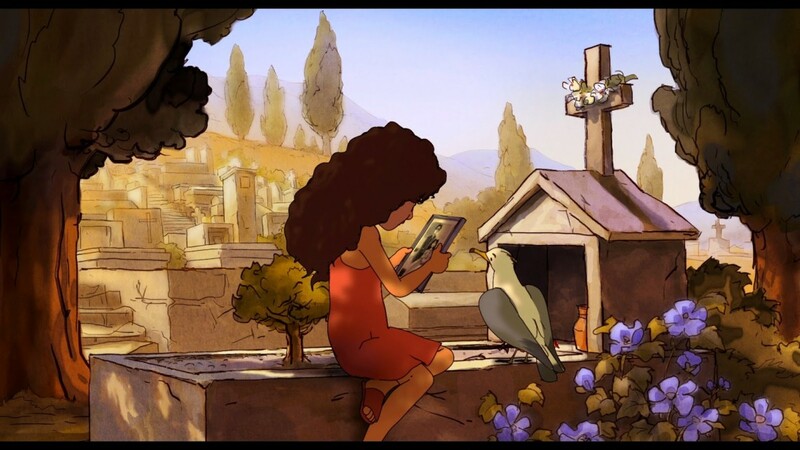 A passion project from producer Salma Hayek, the film adapts the poetry of Lebanese artist, poet, and writer Kahlil Gibran in a series of vignettes similar to Disney’s Fantasia. Featuring the voice work of Liam Neeson, Quvenzhané Wallis, and Hayek, The Prophet is elevates itself to be more than just poetry, effortlessly weaving together art and words together. The secret to the adaptation is that the poems are pieces of a larger narrative. After the death of her father, Almitra (Wallis) has refused to speak, which is only one of her many problems. She seems too adventurous for her own good, frequently getting into trouble and making the citizens of her village dislike her. Her mother, Kamila (Hayek), not only has to apologize for her daughter’s misbehavior, but raising the child on her own has been challenging to say the least. Kamila is in charge of a political prisoner named Mustafa (Neeson). Mustafa has been imprisoned for years,though for what exactly isn’t made immediately apparent. His art and poems are certainly inspiring, leaving those around him in awe of his gifts. He is finally set to be released and returned home. Throughout his journey through the town, he is frequently stopped to provide words and this is where the story transitions into the poems from Kahlil Gibran. Mustafa seems universally loved by the people of the village, so much so that the government might be worried over the power his words have. Each of the adapted poems (ranging from “Birth and Work” to “Marriage and Death”) were directed by different animators, including Michal Socha, Joan Gratz, Nina Paley, Joann Sfar, Tomm Moore, Bill Plympton, Mohammed Saeed Harib, and Paul & Gaetan Brizzi. Each poem has its own unique style given the various artistic backgrounds the directors come from. A few of them feature narration from Neeson, while others are peppered with Yo-Yo Ma cello solos. Two segments feature song contributions from Irish-folk singer Damien Rice and Glen Hansard (Once). At its heart, The Prophet presents itself as a children’s film. Outside of the heavy life-affirming poems, children will likely associate with most with Almitra. Almitra certainly grows throughout the story, being influenced by the words of Mustafa. There are other humorous characters involved, including her seagull friend and the awkward security guard Halim (John Krasinski). Other than that, though, the entry point into the film for children is pretty steep. Children will definitely face the various trails Kahlil Gibran speaks upon, but much further in their lives. The meditations on life and death might be a little daunting for them to conceptualize. Hopefully, the film will be able to grow with the audience it inspires. For the older crowd, The Prophet is certainly a treat. For those unfamiliar with the work of Gibran, it will hopefully open eyes to some incredible writing. The passage on marriage encourages couples to find there love, but also to give each other enough room to grow. While the passage on work explains that we are as one with the earth when we work. Depending how much each viewer takes these words to heart will certainly dictate how well the film works. Also, not all the sequences are created equally, so perhaps the animation behind one of more captivating passages won’t necessarily line up. Kahlil Gibran’s The Prophet has had tens of millions of copies sold worldwide and has been translated into more than forty languages. No matter how beautiful the film might be, it will be a tough sell for American audiences. The problem is that the film is based on old poetry passages with various sequences of animation, so bringing people into the theater will be difficult. Luckily, Salma Hayek isn’t all that concerned with the box office, thankful that the poems that has inspired her for years can be experienced by new audiences. Her ambition is rewarded with a theatrical treasure, equal parts beautiful and inspiring, that makes for an enchanting experience. Gibran isn’t tell us anything we don’t already know, but conveys it wonderfully. 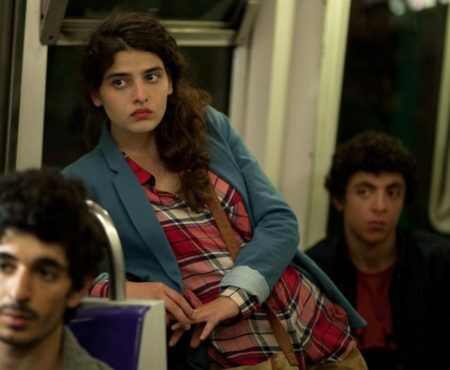 If the film brings families to the poetry and art of Kahlil Gibran’s The Prophet, then Hayek has achieved her goal. The book has certainly been influential and popular over the years. I’m curious to see how its adapted to film…in animated form, no less. Cool.